You want a perfect smile and are considering the best way to straighten your teeth. So far you’ve come up with two choice: fixed braces and Invisalign®. You may, however, be unsure which is the best option for you. 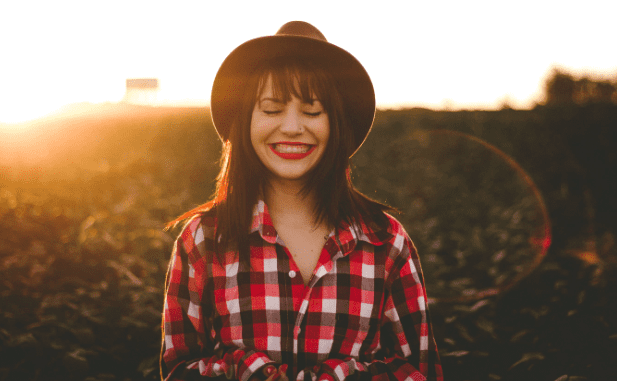 We’re frequently asked this question at our clinic here in Brea, California, so read on as Dr. Emanuela Alexandroni shares her thoughts on why Invisalign is often the better choice over braces. Invisalign aligners are removable for convenience. Having wired braces can be a confidence knock in itself since wearers often don’t feel like smiling, but it can also make taking care of your teeth difficult, brushing around those plates and wires is no easy task! Fixed braces are, as the name suggests, permanently affixed to your teeth until the end of treatment. That means they can’t be removed for eating, brushing, playing sports, or selfie-taking time. Because Invisalign aligners are entirely removable, you maintain control over what you eat rather than avoiding hard or sticky foods that might break your braces and prove costly to fix. Invisalign also makes brushing and flossing a breeze since you simply remove the aligner and continue your regular dental hygiene routine. Invisalign treatment is only effective when you wear your aligners for the right amount of time, which is typically 22 hours a day, but it does afford you the luxury of having full control over your diet, lifestyle, and how you appear in photos. Invisalign aligners are virtually undetectable. You might be opposed to fixed braces because you don’t want a mouth full of metal on display whenever you smile and talk. How you look is important to you and although your stunning straight smile will be worth it at the end of the treatment, the months of living with those fixed braces can feel like a lifetime of embarrassment. 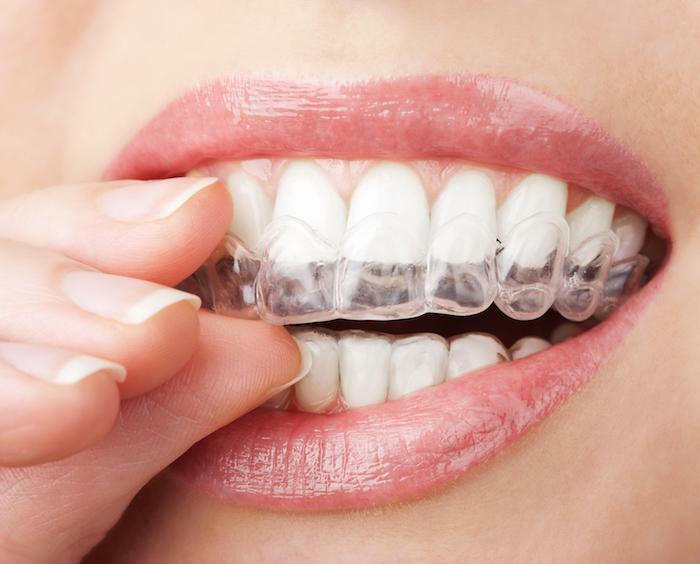 Invisalign aligners are clear and much less noticeable than braces. In fact, the aligners are virtually undetectable. Most people you encounter won’t have the foggiest idea you’re wearing them, and you probably won’t even feel the need to remove them for important events, date nights, or photo opportunities. Aside from being unsightly, a mouth full of metal isn’t comfortable from day-to-day. It can cause pain and discomfort as the metal can catch on the inside of your mouth and irritate your gums and tongue. Made from a special kind of medical-grade thermoplastic known as SmartTrack®, you’ll have a far more comfortable treatment time with Invisalign aligners that create only minimal discomfort and irritation. Fewer dental appointments are required with the Invisalign system. Treatment with fixed braces can take as long as two years depending on the complexity of the issues that need correction. In contrast, when worn for the right amount of time (roughly 22 hours a day), your teeth can be straightened with Invisalign in as little as 12 months. Traditional braces need frequent dental visits to make manual adjustments. These are necessary to keep the pressure consistent and move the teeth into the correct position. With Invisalign, the aligners are custom-made and replaced every few weeks as treatment progresses, according to your individual treatment plan. Invisalign aligners are easy to use and thanks to the state-of-the-art technology used to create your personalized treatment plan, you’ll know what the end result will look like before you begin treatment. That means you can enjoy your treatment time, knowing that every day you’re getting closer to your perfectly straight smile. To find out more about Invisalign and whether it’s the right option for straightening your teeth and restoring your smile, contact Dr. Alexandroni today by clicking ‘Request Appointment’. 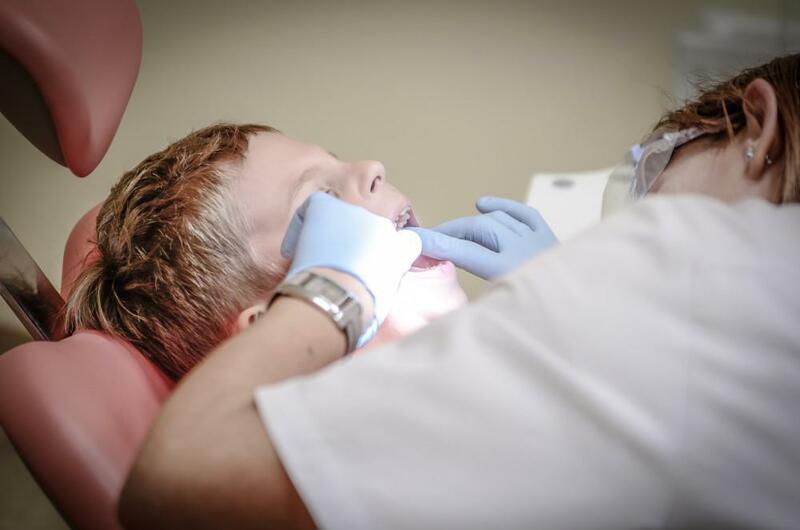 Taking good care of your teeth is essential for keeping them pearly white and healthy. 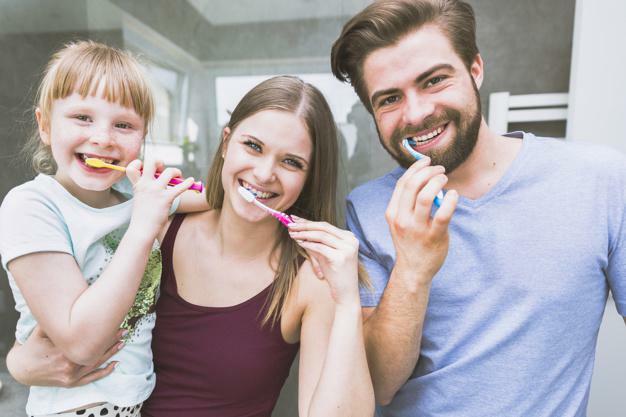 Here are my top five tips for keeping your oral health in optimal condition between dental visits.